Mind, hands and controller working in perfect unison, the impulses from your brain effortlessly translated into fluid movement on the screen. 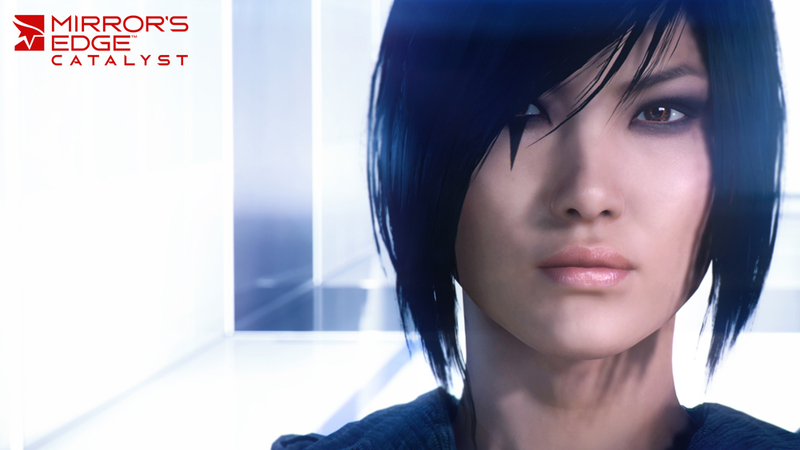 This is the main experience of Mirror’s Edge Catalyst. 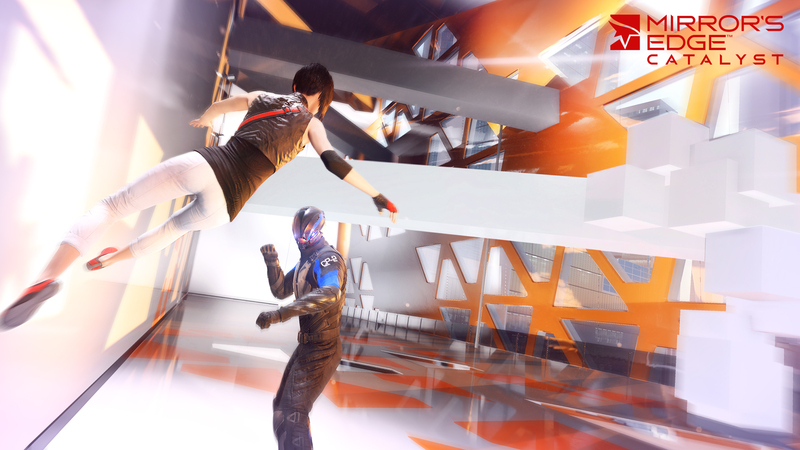 Faith is your extension into Glass city, she is your avatar in this world, and through her you will learn to master the urban landscape, allowing you to directly partake of all the thrills and elegance of parkour running. 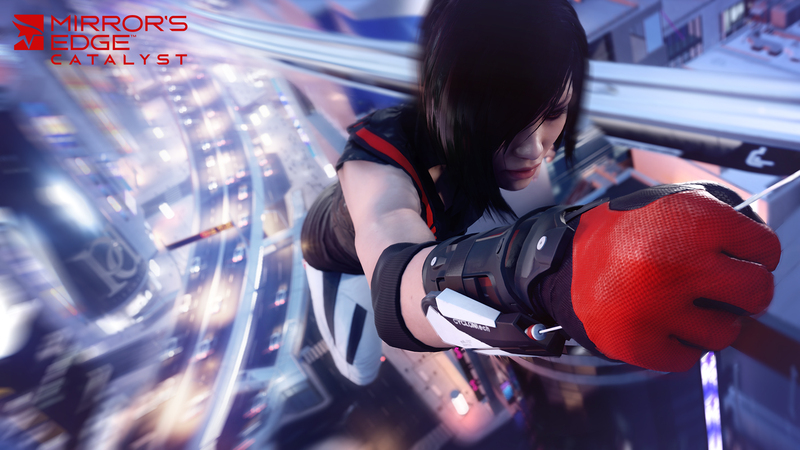 Faith’s agility is yours, as is her speed and proficiency. As your skills grow so does your reach and gadgets will expand it even further, making seemingly impossible locations available to the daring. If you’re good enough all of the city will eventually become your playground. This is a game about skill, but accessibility systems allow it to be enjoyed by novices and masters alike. Go for a quick Dash across the rooftops and try to beat the latest high score, or explore those hard-to-reach locations and see if you have the patience and tenacity to figure out how to get there. The storyline leads you across the city, pushing you to scale the greatest heights and explore deepest tunnels, while you quickly weave in and out of all kinds of buildings. But though the main experience is centered around fluidity of movement Faith does have enemies and she is a skilled fighter. Combat too is focused on movement and agility, and Faith has no use for guns, having vowed long ago never to use them again. Instead her own body is the projectile, and properly guided she cuts through enemies like a sweeping scythe, dropping them left and right, while never staying still long enough for them to be able to hit her. Combining momentum, timing and your mastery of the environment is the key to claiming victory. Faith’s eyes are yours and all of it is seen through a first-person perspective. Run free and quicken your slumbering potential, the city of Glass awaits. 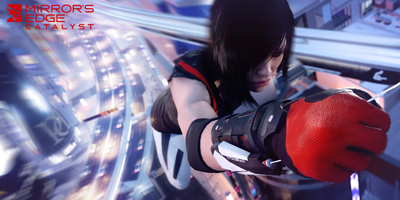 First-Person Action — Get up close with your enemies. 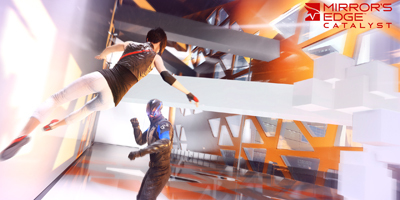 Use your freedom of movement and martial arts combat in conjunction with the environment to experience fluid first-person action unlike any other. 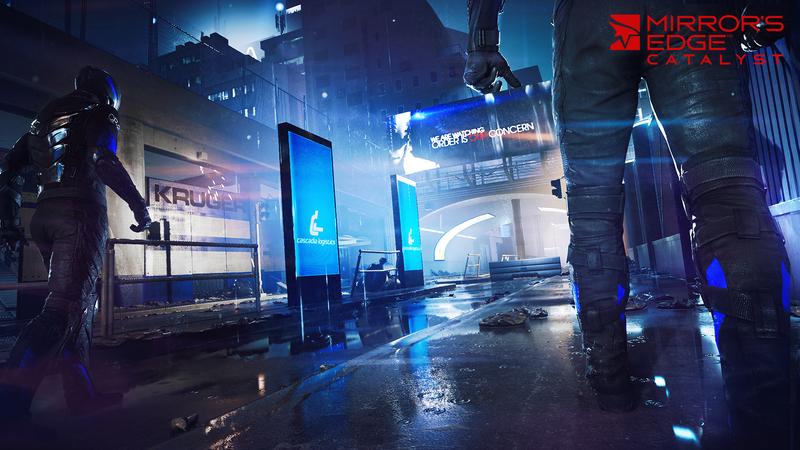 Explore the City of Glass — Roam the beautiful, high-tech city at your own pace, and unlock its many different districts. Run free and explore every corner from the highest, glass made skyscrapers to the hidden underground tunnels. Decent game, a tad boring after a while but other than that it's good! One of the best games I've played this game has it all from jumping over high buildings and zip lining across them. 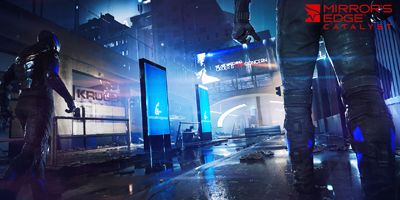 I'd say it's like assassins creed meets watchdogs with the high tech gadgets and hacking. 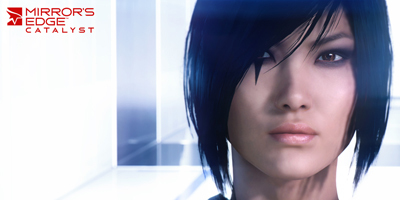 It has a good storyline too if I knew it was going to be that good I would have bought the 1st Mirrors Edge. If your a "Gamer" you have to buy this.